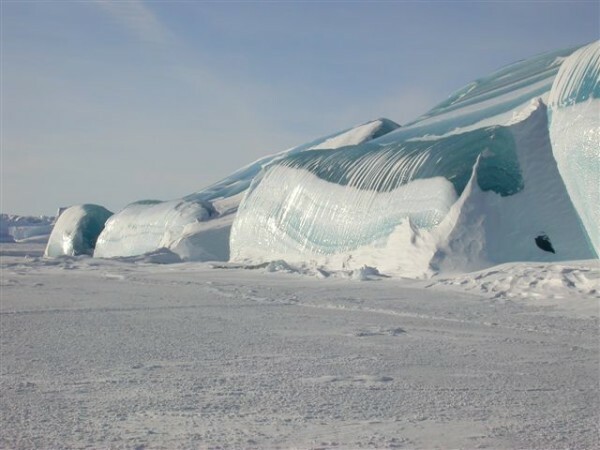 Have you ever seen or heard about the wonderful work of Nature such as colored striped Icebergs in Antarctica. 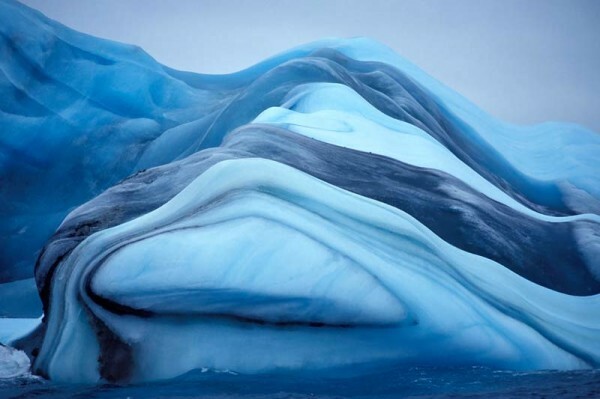 Sometimes various shapes and colored icebergs are formed by layers of snow under changing conditions. 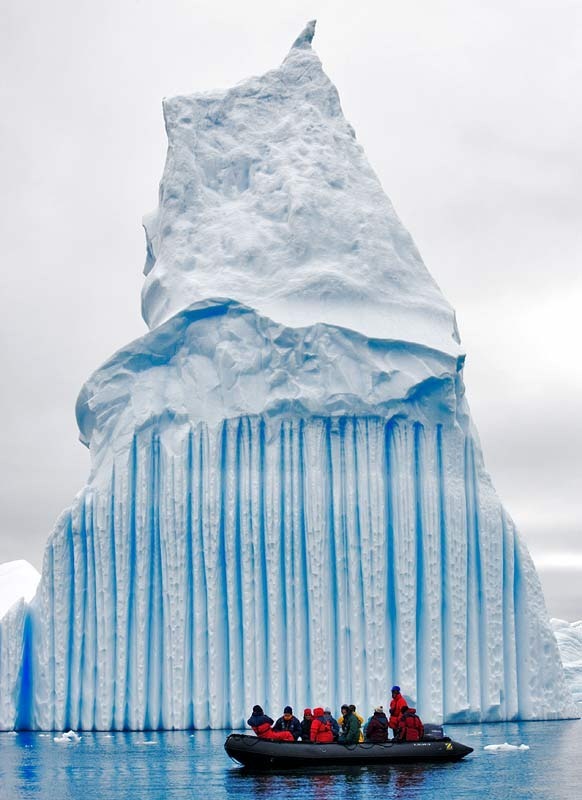 Blue colored stripes are usually formed when crevices of ice sheets are filled with melt water that freezes soon and no water bubbles form. 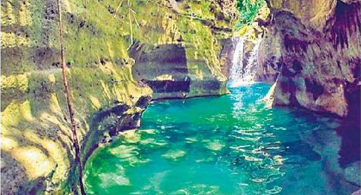 Green colored stripes are formed whenever a glacier falls into water and if the water has any algae which sticks in the underside of the iceberg giving a green color. 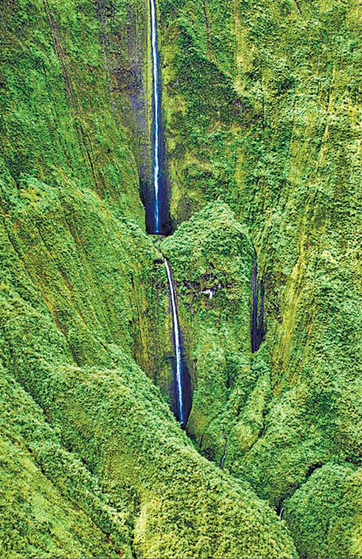 It can form a green stripe. Brown, black and yellow lines are caused by sediment, picked up when the ice sheet grinds down hill towards the sea. 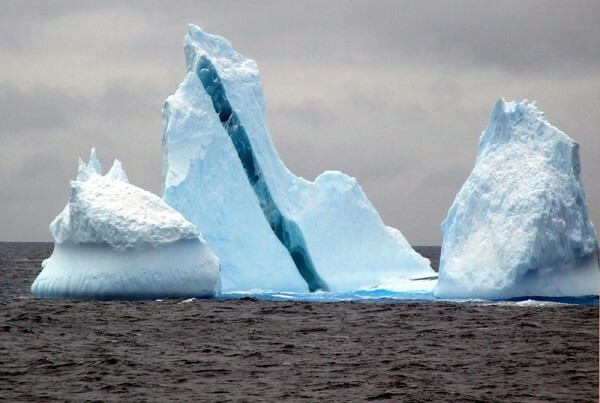 Striped icebergs are quite rare and absolutely awesome. All pictures were taken during an expedition to Antarctica. 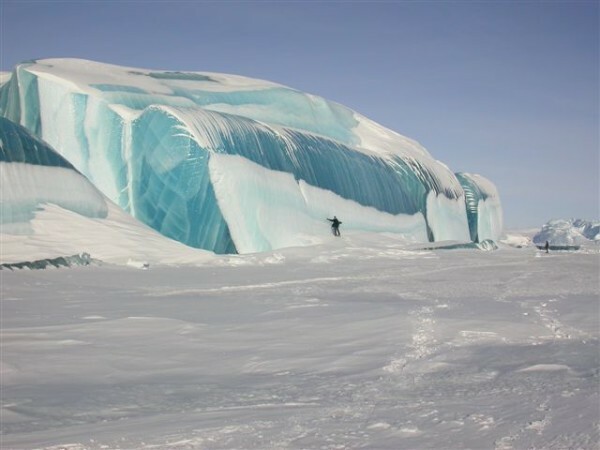 Antarctica Frozen Wave Pixs – Nature is amazing!. The water froze the instant the wave broke through the Ice. That’s what it is like in Antarctica where it is the coldest weather in decades. The water freezes the instant it comes in contact with the air. The temperature of the water is already some degrees below freezing. Just look at how the wave froze in mid-air!!! 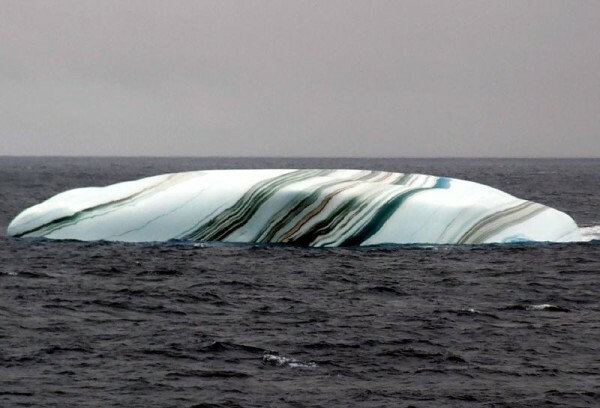 Striped icebergs are quite rare and absolutely awesome. These pictures were taken during an expedition to Antarctica. 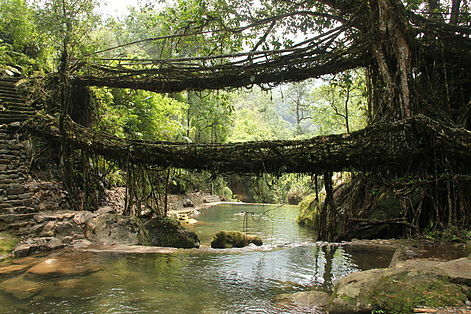 Having the Internet means that we get to see something that we never imagined! Pass it on for others to enjoy!